Discussion in 'Community Discussion' started by Poly, Oct 5, 2013. I'm from Germany and here almost anybody you ask can tell you numerous american celebs names. Besides the shocking/media hyped American celebrities, I don't even know many of their names here. Almost all of my references are something like "That guy in x show and y movie" or "That attractive brunette in that one show", so I definitely don't know any German celebrities. Regarding Merkel, I'm definitely not informed enough on her policies to have a very educated guess, but she was just elected for a third term - a first or rarity, right? She has also led Germany through a tumultuous time globally and regionally (EU) and yet they are as strong as ever, so while her influence on that is probably hard to define, there's probably some overlap there. Not really. I've heard of Merkel, know what she looks like, and know she's involved in government. As for German celebrities in general, again, not really. Heidi Klum comes to mind but that's only because she's on American TV. He's American, born in Maryland. His father was half German. I thought he was German too until I looked him up just before typing my response. Nope. I have no idea of celebrities in Germany. Nor do I know any movies made from Germany, music, or any pop culture. That's cool guys i like how some german movie stars always act like they are so famous(especially in the US) and actually noone knows them. 'Till Schweiger' e.g. And yes, Merkel got reelected the third time. I think in part, if a celebrity has a last name that is German I still wouldn't think, "Oh they must be German." It's very common for Americans to have last names from around the world. I don't know the nationalities of most celebrities. I just assume they are American unless somehow I learn otherwise, mostly because I don't care or have time to go investigate nationalities. Well I didn't know. Not that I had done any research to the point until today. Merkel is cool. The expression on her face when she got the Bush backrub is the same expression I get whenever Bush's name is mentioned. Pretty much the same for me. That said, I don't follow American celebrities as I couldn't care less about what they are doing, who they are doing, or what there kids are doing. The only German celebrity I can even picture is that dude who wore all black and had a talk show and his co-host was a monkey. I don't know any German celebrity names but then again, I could care less about any US celebrities. Their public personas are never who they really are. 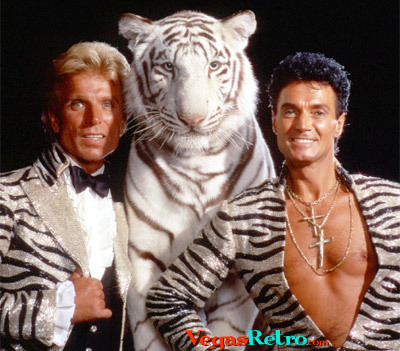 Wow, these guy will be pretty disappointed reading this thread..
You don't know Siegfried and Roy Lucky you! I don't know any German celebrities. But I was in Germany last year and I think your country is beautiful! I was very impressed when I was there. When and where were you? Heidi Klum; Boris Becker; Michael Schumacher; Rudolf Schenker & Klaus Meine (main members of Scorpions band); Jürgen Prochnow; Nena (99 Luftballons); Diane Kruger; and Christoph Waltz. German comedians..... thats a tough one. When I think of Germany I tend to associate it with fine automobiles; good beer; and winning football teams. Jokes? Not so much, although Christoph Waltz was pretty funny in Django Unchained and Inglourious Basterds. I was in Munich in September 2012. I left right as they were preparing for Oktoberfest, I wish I could have stayed for that. I loved it there, the city was so clean and the people were very friendly. Everything in the city just seemed so well thought out and well organized. I LOVED the public transportation system, and I got to go to a real German Biergarten, which was amazing. We also went to go see King Ludwig's castles. Amazing. I will definitely be returning to Germany, maybe Berlin next time. And on a side note, I think Germany also makes the most amazing cars in the world. Which is why I drive a BMW. I don't know any German celebrities (except I had heard of Sigfried and Roy), but living in a cave as I do, I don't know any US celebrities, either. And don't care to, for that matter.